Mitsubishi took the opportunity of IIMS 2018 to launch the Mitsubishi Pajero Sport Rockford Fosgate in Indonesia. 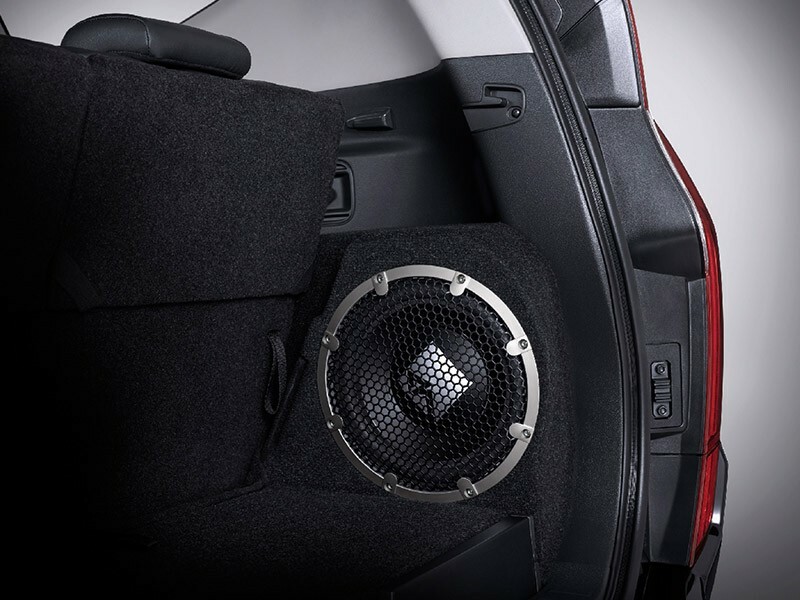 The Mitsubishi Pajero Sport Rockford Fosgate is a limited-edition model targeted at sound enthusiasts. 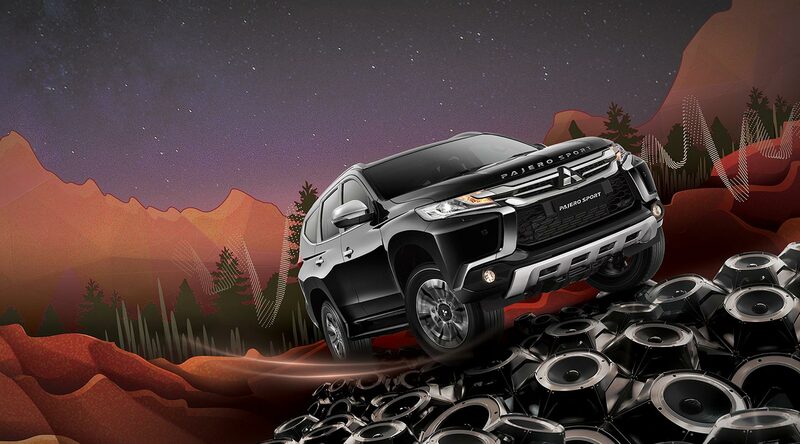 The Mitsubishi Pajero Sport Rockford Fosgate sports exclusive 18-inch two-tone alloy wheels. The Mitsubishi Pajero Sport Rockford Fosgate has a sportier styling compared to the regular Mitsubishi Pajero Sport. It is fitted with bumper under garnish at the front and rear as standard. These parts are available as accessories for the regular Mitsubishi Pajero Sport. The Rockford Fosgate edition features Pajero Sport hood emblem, unique 18-inch two-tone alloy wheels, exhaust finisher, Rockford Fosgate Limited Edition badge on the tailgate and a spare tyre cover as well. The main highlight of the Mitsubishi Pajero Sport Rockford Fosgate is, of course, its sound system. It comprises two 1-inch soft dome tweeters at the front, 6.5-inch mid-bass speakers in the front doors, 6.5-inch Coaxial 2-way speakers in the rear doors, Flex41 300-watt amplifier and 10-inch long-throw subwoofer. Under the hood, the Mitsubishi Pajero Sport Rockford Fosgate has the 4N15 2.4L MIVEC diesel engine coupled to an 8-speed automatic transmission. The turbocharged four-cylinder diesel engine develops 181 PS at 3,500 rpm and 430 Nm of torque. A 4WD system is not included in this configuration. The Mitsubishi Pajero Sport Rockford Fosgate's sound system includes four speakers, two tweeters, a subwoofer and an amplifier. The Mitsubishi Pajero Sport special edition costs IDR 535,000,000 (INR 25,39,686.96). Sales are limited to 1,000 units.